Want to use HSSF and XSSF read and write spreadsheets in a hurry? This guide is for you. If you're after more in-depth coverage of the HSSF and XSSF user-APIs, please consult the HOWTO guide as it contains actual descriptions of how to use this stuff. String safeName = WorkbookUtil.createSafeSheetName("[O'Brien's sales*? ]"); // returns " O'Brien's sales   "
* @param halign the horizontal alignment for the cell. * @param valign the vertical alignment for the cell. Sometimes, you'd like to just iterate over all the sheets in a workbook, all the rows in a sheet, or all the cells in a row. This is possible with a simple for loop. These iterators are available by calling workbook.sheetIterator(), sheet.rowIterator(), and row.cellIterator(), or implicitly using a for-each loop. Note that a rowIterator and cellIterator iterate over rows or cells that have been created, skipping empty rows and cells. In some cases, when iterating, you need full control over how missing or blank rows and cells are treated, and you need to ensure you visit every cell and not just those defined in the file. (The CellIterator will only return the cells defined in the file, which is largely those with values or stylings, but it depends on Excel). In cases such as these, you should fetch the first and last column information for a row, then call getCell(int, MissingCellPolicy) to fetch the cell. Use a MissingCellPolicy to control how blank or null cells are handled. To get the contents of a cell, you first need to know what kind of cell it is (asking a string cell for its numeric contents will get you a NumberFormatException for example). So, you will want to switch on the cell's type, and then call the appropriate getter for that cell. In the code below, we loop over every cell in one sheet, print out the cell's reference (eg A3), and then the cell's contents. For most text extraction requirements, the standard ExcelExtractor class should provide all you need. The convenience functions provide utility features such as setting borders around merged regions and changing style attributes without explicitly creating new styles. The zoom is expressed as a fraction. For example to express a zoom of 75% use 3 for the numerator and 4 for the denominator. There are two types of panes you can create; freeze panes and split panes. The first two parameters are the columns and rows you wish to split by. The second two parameters indicate the cells that are visible in the bottom right quadrant. Split panes appear differently. The split area is divided into four separate work area's. The split occurs at the pixel level and the user is able to adjust the split by dragging it to a new position. The first parameter is the x position of the split. This is in 1/20th of a point. A point in this case seems to equate to a pixel. The second parameter is the y position of the split. Again in 1/20th of a point. The last parameter indicates which pane currently has the focus. This will be one of Sheet.PANE_LOWER_LEFT, PANE_LOWER_RIGHT, PANE_UPPER_RIGHT or PANE_UPPER_LEFT. // Freeze the columns and rows (forget about scrolling position of the lower right quadrant). It's possible to set up repeating rows and columns in your printouts by using the setRepeatingRows() and setRepeatingColumns() methods in the Sheet class. These methods expect a CellRangeAddress parameter which specifies the range for the rows or columns to repeat. For setRepeatingRows(), it should specify a range of rows to repeat, with the column part spanning all columns. For setRepeatingColums(), it should specify a range of columns to repeat, with the row part spanning all rows. If the parameter is null, the repeating rows or columns will be removed. // Set the rows to repeat from row 4 to 5 on the first sheet. Example is for headers but applies directly to footers. Example is for headers but applies directly to footers. Note, the above example for basic headers and footers applies to XSSF Workbooks as well as HSSF Workbooks. The HSSFHeader stuff does not work for XSSF Workbooks. XSSF has the ability to handle First page headers and footers, as well as Even/Odd headers and footers. All Header/Footer Property flags can be handled in XSSF as well. The odd header and footer is the default header and footer. It is displayed on all pages that do not display either a first page header or an even page header. That is, if the Even header/footer does not exist, then the odd header/footer is displayed on even pages. If the first page header/footer does not exist, then the odd header/footer is displayed on the first page. If the even/odd property is not set, that is the same as the even header/footer not existing. If the first page property does not exist, that is the same as the first page header/footer not existing. POI supports drawing shapes using the Microsoft Office drawing tools. Shapes on a sheet are organized in a hierarchy of groups and and shapes. The top-most shape is the patriarch. This is not visible on the sheet at all. To start drawing you need to call createPatriarch on the HSSFSheet class. This has the effect erasing any other shape information stored in that sheet. By default POI will leave shape records alone in the sheet unless you make a call to this method. Create an anchor to position the shape on the sheet. Ask the patriarch to create the shape. Just as can be done manually using Excel, it is possible to group shapes together. This is done by calling createGroup() and then creating the shapes using those groups. It's also possible to create groups within groups. Any group you create should contain at least two other shapes or subgroups. // Create a shape group. // Create a couple of lines in the group. If you create a group within a group it's also going to have it's own coordinate space. While the native POI shape drawing commands are the recommended way to draw shapes in a shape it's sometimes desirable to use a standard API for compatibility with external libraries. With this in mind we created some wrappers for Graphics and Graphics2d. It's important to not however before continuing that Graphics2d is a poor match to the capabilities of the Microsoft Office drawing commands. The older Graphics class offers a closer match but is still a square peg in a round hole. The first thing we do is create the group and set it's coordinates to match what we plan to draw. Next we calculate a reasonable fontSizeMultiplier then create the EscherGraphics object. Since what we really want is a Graphics2d object we create an EscherGraphics2d object and pass in the graphics object we created. Finally we call a routine that draws into the EscherGraphics2d object. The vertical points per pixel deserves some more explanation. One of the difficulties in converting Graphics calls into escher drawing calls is that Excel does not have the concept of absolute pixel positions. It measures it's cell widths in 'characters' and the cell heights in points. Unfortunately it's not defined exactly what type of character it's measuring. Presumably this is due to the fact that the Excel will be using different fonts on different platforms or even within the same platform. The height of the group is calculated fairly simply by calculating the difference between the y coordinates of the bounding box of the shape. The height of the group can be calculated by using a convenience called HSSFClientAnchor.getAnchorHeightInPoints(). Many of the functions supported by the graphics classes are not complete. Here's some of the functions that are known to work. Functions that are not supported will return and log a message using the POI logging infrastructure (disabled by default). The row/column you choose should contain an already created group. It can be anywhere within the group. It should be noted that any existing drawings may be erased once you add a image to a sheet. // Create the drawing patriarch. This is the top level container for all shapes. Picture.resize() works only for JPEG and PNG. Other formats are not yet supported. Named Range is a way to refer to a group of cells by a name. Named Cell is a degenerate case of Named Range in that the 'group of cells' contains exactly one cell. You can create as well as refer to cells in a workbook by their named range. 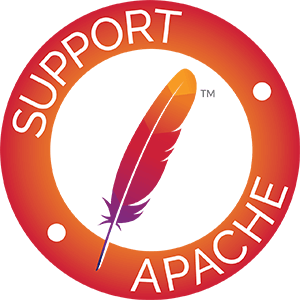 When working with Named Ranges, the classes org.apache.poi.ss.util.CellReference and org.apache.poi.ss.util.AreaReference are used. Note: Using relative values like 'A1:B1' can lead to unexpected moving of the cell that the name points to when working with the workbook in Microsoft Excel, usually using absolute references like '$A$1:$B$1' avoids this, see also this discussion. // extract the cell contents based on cell type etc. //named range points to a deleted cell. For SXSSFWorkbooks only, because the random access window is likely to exclude most of the rows in the worksheet, which are needed for computing the best-fit width of a column, the columns must be tracked for auto-sizing prior to flushing any rows. // or roll your own for-loop. // on all tracked columns on every row that is flushed. Note, that Sheet#autoSizeColumn() does not evaluate formula cells, the width of formula cells is calculated based on the cached formula result. If your workbook has many formulas then it is a good idea to evaluate them before auto-sizing. To calculate column width Sheet.autoSizeColumn uses Java2D classes that throw exception if graphical environment is not available. In case if graphical environment is not available, you must tell Java that you are running in headless mode and set the following system property: java.awt.headless=true . You should also ensure that the fonts you use in your workbook are available to Java. As of version 3.8, POI has slightly different syntax to work with data validations with .xls and .xlsx formats. Check the value a user enters into a cell against one or more predefined value(s). The following code will limit the value the user can enter into cell A1 to one of three integer values, 10, 20 or 30. This code will do the same but offer the user a drop down list to select a value from. To create a message box that will be shown to the user if the value they enter is invalid. Replace 'Box Title' with the text you wish to display in the message box's title bar and 'Message Text' with the text of your error message. The text encapsulated in the first parameter passed to the createPromptBox() method will appear emboldened and as a title to the prompt whilst the second will be displayed as the text of the message. The createExplicitListConstraint() method can be passed and array of String(s) containing interger, floating point, dates or text values. To obtain a validation that would check the value entered was, for example, an integer between 10 and 100, use the DVConstraint.createNumericConstraint(int, int, String, String) factory method. It is not possible to create a drop down list if the createNumericConstraint() method is called, the setSuppressDropDownArrow(false) method call will simply be ignored. Date and time constraints can be created by calling the createDateConstraint(int, String, String, String) or the createTimeConstraint(int, String, String). Both are very similar to the above and are explained in the javadoc. Creating Data Validations From Spreadsheet Cells. and in both cases the user will be able to select from a drop down list containing the values from cells A1, A2 and A3. Data validations work similarly when you are creating an xml based, SpreadsheetML, workbook file; but there are differences. Explicit casts are required, for example, in a few places as much of the support for data validations in the xssf stream was built into the unifying ss stream, of which more later. Other differences are noted with comments in the code. Check the value the user enters into a cell against one or more predefined value(s). // user enters into the cell. These both exactly mirror the hssf.usermodel so please refer to the 'Messages On Error:' and 'Prompts:' sections above. To obtain a validation that would check the value entered was, for example, an integer between 10 and 100, use the XSSFDataValidationHelper(s) createNumericConstraint(int, int, String, String) factory method. It is not possible to create a drop down list if the createNumericConstraint() method is called, the setSuppressDropDownArrow(true) method call will simply be ignored. Please check the javadoc for other constraint types as examples for those will not be included here. There are, for example, methods defined on the XSSFDataValidationHelper class allowing you to create the following types of constraint; date, time, decimal, integer, numeric, formula, text length and custom constraints. would create a validation that took it's values from cells in the range A1 to F1. This does open a further, interesting opportunity however and that is to place all of the data for the validation(s) into named ranges of cells on a hidden sheet within the workbook. These ranges can then be explicitly identified in the setRefersToFormula() method argument. The classes within the ss.usermodel package allow developers to create code that can be used to generate both binary (.xls) and SpreadsheetML (.xlsx) workbooks. The techniques used to create data validations share much in common with the xssf.usermodel examples above. As a result just one or two examples will be presented here. // Note the check on the actual type of the DataValidation object. // method and an explicit call made to the setShowErrorBox() method. // method and the call to setShowErrorBox() is not necessary. As the differences between the ss.usermodel and xssf.usermodel examples are small - restricted largely to the way the DataValidationHelper is obtained, the lack of any need to explicitly cast data types and the small difference in behaviour between the hssf and xssf interpretation of the setSuppressDropDowmArrow() method, no further examples will be included in this section. In some cases, it may be necessary to present to the user a sheet which contains more than one drop down list. Further, the choice the user makes in one drop down list may affect the options that are presented to them in the second or subsequent drop down lists. One technique that may be used to implement this behaviour will now be explained. There are two keys to the technique; one is to use named areas or regions of cells to hold the data for the drop down lists, the second is to use the INDIRECT() function to convert between the name and the actual addresses of the cells. In the example section there is a complete working example- called LinkedDropDownLists.java - that demonstrates how to create linked or dependent drop down lists. Only the more relevant points are explained here. Note that the name of the area - in the example above it is 'CHOICES' - is simply passed to the createFormulaListConstraint() method. This is sufficient to cause Excel to populate the drop down list with data from that named region. Next, for each of the options the user could select in the first drop down list, create a matching named region of cells. The name of that region should match the text the user could select in the first drop down list. Note, in the example, all upper case letters are used in the names of the regions of cells. The key here is in the following Excel function - INDIRECT(UPPER($A$1)) - which is used to populate the second, linked, drop down list. Working from the inner-most pair of brackets, it instructs Excel to look at the contents of cell A1, to convert what it reads there into upper case – as upper case letters are used in the names of each region - and then convert this name into the addresses of those cells that contain the data to populate another drop down list. It is possible to perform more detailed processing of an embedded Excel, Word or PowerPoint document, or to work with any other type of embedded object. // Recover the object's data from the HSSFObjectData instance. // Any other type of embedded object. Using Excel, it is possible to hide a row on a worksheet by selecting that row (or rows), right clicking once on the right hand mouse button and selecting 'Hide' from the pop-up menu that appears. If the file were saved away to disc now, then the first row on the first sheet would not be visible. Using Excel, it is possible to unhide previously hidden rows by selecting the row above and the row below the one that is hidden and then pressing and holding down the Ctrl key, the Shift and the pressing the number 9 before releasing them all. If the file were saved away to disc now, any previously hidden rows on the first sheet of the workbook would now be visible. The example illustrates two features. Firstly, that it is possible to unhide a row simply by calling the setZeroHeight() method and passing the boolean value 'false'. Secondly, it illustrates how to test whether a row is hidden or not. Simply call the getZeroHeight() method and it will return 'true' if the row is hidden, 'false' otherwise. Sometimes it is easier or more efficient to create a spreadsheet with basic styles and then apply special styles to certain cells such as drawing borders around a range of cells or setting fills for a region. CellUtil.setCellProperties lets you do that without creating a bunch of unnecessary intermediate styles in your spreadsheet. Properties are created as a Map and applied to a cell in the following manner. NOTE: This does not replace the properties of the cell, it merges the properties you have put into the Map with the cell's existing style properties. If a property already exists, it is replaced with the new property. If a property does not exist, it is added. This method will not remove CellStyle properties. In Excel, you can apply a set of borders on an entire workbook region at the press of a button. The PropertyTemplate object simulates this with methods and constants defined to allow drawing top, bottom, left, right, horizontal, vertical, inside, outside, or all borders around a range of cells. Additional methods allow for applying colors to the borders. It works like this: you create a PropertyTemplate object which is a container for the borders you wish to apply to a sheet. Then you add borders and colors to the PropertyTemplate, and finally apply it to whichever sheets you need that set of borders on. You can create multiple PropertyTemplate objects and apply them to a single sheet, or you can apply the same PropertyTemplate object to multiple sheets. It is just like a preprinted form. Defines the look of the border, is it thick or thin, solid or dashed, single or double. This enum replaces the CellStyle.BORDER_XXXXX constants which have been deprecated. The PropertyTemplate will not support the older style BORDER_XXXXX constants. A special value of BorderStyle.NONE will remove the border from a Cell once it is applied. Describes the portion of the region that the BorderStyle will apply to. For example, TOP, BOTTOM, INSIDE, or OUTSIDE. A special value of BorderExtent.NONE will remove the border from the PropertyTemplate. When the template is applied, no change will be made to a cell border where no border properties exist in the PropertyTemplate. //     cell will have no borders. NOTE: The last pt.drawBorders() call removes the borders from the range by using BorderStyle.NONE. Like setCellStyleProperties, the applyBorders method merges the properties of a cell style, so existing borders are changed only if they are replaced by something else, or removed only if they are replaced by BorderStyle.NONE. To remove a color from a border, use IndexedColor.AUTOMATIC.getIndex(). Additionally, to remove a border or color from the PropertyTemplate object, use BorderExtent.NONE. This does not work with diagonal borders yet. Pivot Tables are a powerful feature of spreadsheet files. You can create a pivot table with the following piece of code. To apply a single set of text formatting (colour, style, font etc) to a cell, you should create a CellStyle for the workbook, then apply to the cells. To apply different formatting to different parts of a cell, you need to use RichTextString, which permits styling of parts of the text within the cell. There are some slight differences between HSSF and XSSF, especially around font colours (the two formats store colours quite differently internally), refer to the HSSF Rich Text String and XSSF Rich Text String javadocs for more details.